Cupcakes have been a big part of the wedding scene over the last few years, with many brides and grooms choosing to have these little treats on display at their reception. And if this sounds like your cup of tea, why not check out Victoria's Heavenly Cupcakes in County Meath? This family-run business, located in Dunboyne, specialises in producing delicious and beautiful displays of cupcakes for any occasion. Handmade with the finest ingredients, these cakes are extremely tasty and very popular in the region. Each arrangement is custom-made according to the tastes and styles of the couple, and they can have an impressive tower of cupcakes, a selection of cupcakes together with a traditional wedding cake, or even just a tiered wedding cake alone. Brides and grooms can also treat their guests to a sweet table, with a mixture of cake pops, cake balls, cookies, whoopie pies and cupcakes available to choose from. Alternatively, lots of couples are using cake pops as favours these days, which may interest brides and grooms with a sweet tooth. 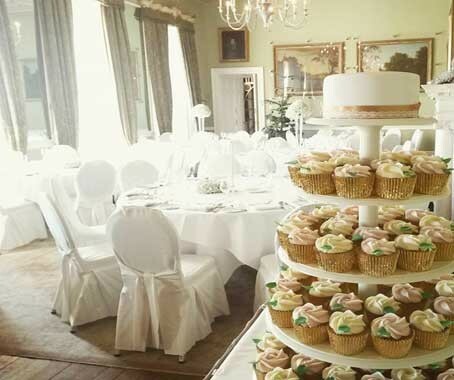 Victoria's Heavenly Cupcakes delivers to the greater Dublin area, as well as parts of County Meath and County Kildare, so if you've got a wedding nearby, get in touch today. "Cake tasted as good as it looked!! Lesley"
"Cupcakes & cake were fantastic and went down a treat. Not one was left. Got lot s of compliments on them. My cousin (from the US) said they were the best cupcakes ever! "I would just like to say thank you very much for the cake. It looked absolutely amazing and tasted delicious also. It was Perfect. Provide your details below and Victoria’s Heavenly Cupcakes will be in touch soon.